Howlin' Wolf Records: SIX STRINGS: It wouldn't be the Holidays without a little ALIEN talk? It wouldn't be the Holidays without a little ALIEN talk? 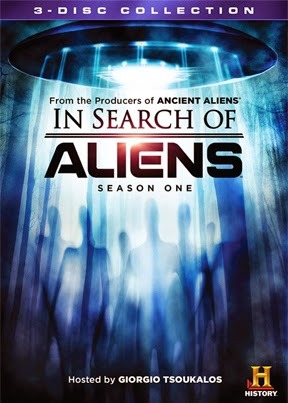 In Search of Aliens: Season One: From the creators of HISTORY®‘s successful series Ancient Aliens, comes the exciting spinoff In Search of Aliens: Season One, arriving on DVD December 9 from Lionsgate Home Entertainment. 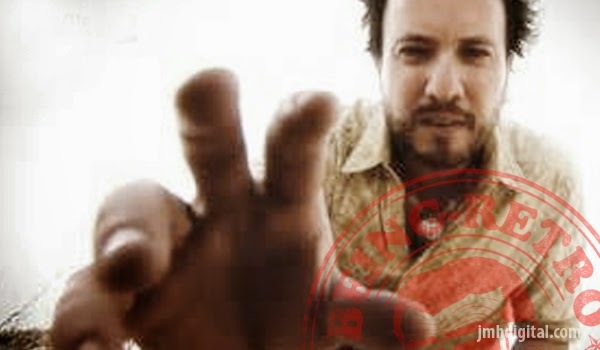 Referenced as “the real Indiana Jones” (Magic Image), lead contributor Giorgio Tsoukalos has traveled the globe to research and investigate evidence of extraterrestrial contact with humans throughout history. From the lost city of Atlantis to the Loch Ness Monster, Giorgio is determined to find the truth. Packed with extraordinary stories and theories about extraterrestrial phenomena, the In Search of Aliens: Season One 3-disc DVD. In Search of Aliens: Season One follows ancient astronaut theorist Giorgio A. Tsoukalos as he travels the world exploring the world’s most ancient mysteries. A few highlights from Giorgio’s journeys include: “The Hunt for Atlantis,” where investigators attempt to locate the city that Plato described and wonder whether it was home to an advanced civilization that created the human race; and “The Mystery of Loch Ness”, where Giorgio travels from Scotland’s Loch Ness to Vermont’s Lake Champlain looking for connections between the geology of the two locations and the world-famous yet elusive lake monsters, Nessie and Champ. Can we really be the only ones screwing up the universe?